Although he had no college education or theological training, and only a year's exposure to Universalism, in 1838 Chapin was called to be pastor of the Independent Christian Church, in Richmond, Virginia, composed of both Universalists and Unitarians. Audiences flocked to hear the sermons and lectures of the young man with the powerful voice and magnetic personality. His tract, Universalism: What It Is Not, and What It Is, 1838, became widely popular. Universalism, he wrote, was not atheism, skepticism, or deism. Instead, "it teaches that all mankind will finally be saved from sin and its consequent misery." Universalists did not "argue against punishment,—against future punishment,—but against the endless duration of sin and misery." The same year, Chapin was ordained by the New York Central Association and married Hannah Newland of Utica, whom he had met at the Magazine and Advocate bookstore. She was his devoted companion for 42 years. Chapin alternated between a frenzy of productive activities—installations, ordinations, college commencements, speaking in favor of social reforms, sermons, publications, service as chaplain of the Massachusetts legislature and as a member of the State Board of Education—and exhausted depression. His generous contributions to charity, support of his father, and his purchases of rare books often outran his income. Partly in order to increase his income, in late 1845 he became the colleague of the aging Hosea Ballou at the Second Universalist Church in Boston. Here his advocacy of reforms, notably temperance, alienated some conservative Universalists, who, under Ballou, had not been used to such preaching. He moved on after only two years. Chapin was enthralled by the scientific discoveries of his day. He could see no conflict between religion and science. "The more we learn of nature," he said, "the more clearly is revealed to us this fact—that we know less than we thought we did . . . as science, as nature, opens upon us, we find mystery after mystery, and the demand upon the human soul is for faith, faith in high, yea, in spiritual realities." "Faith is not the surrendering of our minds to that which is irrational and inconsistent," however. "In that which conflicts with our reason we cannot have faith." He thought that the faith we must have is "in realities that are not of time or sense." In his book Humanity in the City, 1854, Chapin observed, "There sits the beggar, sick and pinched with cold; and there goes a man of no better flesh and blood, and no more authentic charter of soul, wrapped in comfort, and actually bloated with luxury." This teaches us, he reflected, "our duty and our responsibility in lessening social inequality and need." Large cities heighten both good and evil, he wrote in Moral Aspects of City Life, 1853: "The close contact that excites the worst passions of humanity also elicits its sympathies—and noble charities are born of all this misery and guilt." He believed his major role in life was to help alleviate this misery. "The preacher, especially in the city," he said, "must be a true reformer, definite, emphatic, bold." Although he criticized institutions, denounced manifest evils, and worked endlessly for social causes, he did not denounce individuals, believing moral persuasion more effective in changing behaviors and lives. The only full-length biography of Chapin is Sumner Ellis, Life of Edwin H. Chapin (1882). There are biographical sketches in David Robinson, The Unitarians and the Universalists(1985) and Mark Harris, Historical Dictionary of Unitarian Universalism (2004). See also Russell Miller, The Larger Hope, vol. 1 (1979). Obituaries include The Sun (New York City, December 28, 1880), and the Universalist Register (1882). Orestes Augustus Brownson (Sept. 16, 1803-April 17, 1876) as a maverick Universalist and Unitarian minister, then an independently-minded journalist, essayist, and critic, was a wide-ranging commentator on politics, religion, society, and literature with connections to the Transcendentalist movement. Disillusioned with liberal religion and radical politics, in 1844 he converted to Roman Catholicism and became a Catholic intellectual, a constitutional conservative, and a fierce critic of Protestantism. Orestes was born in the frontier village of Stockbridge, Vermont. He and his twin sister were the youngest children of Sylvester Brownson and his wife Relief Metcalf. In 1805 Sylvester died, leaving a destitute 28-year-old widow with five children. Orestes lived with his mother until he was six, old enough to remember her Universalist teaching about the "gift of a Saviour's love to sinners." He was then sent to live with an older couple in Royalton, Vermont. They were Congregationalists but did not attend church because they disapproved of the evangelical preaching in their local church. They instructed Orestes in the rudiments of the Reformed faith and encouraged him to explore the religious options Royalton had to offer. He did not unite with any church but had a rich spiritual life centered on private reading of the Bible. When Orestes was 14, his family was reunited and moved to Ballston, New York, near Saratoga. Orestes was apprenticed to James Comstock, the owner, editor and printer of the Independent American newspaper, in the fashionable resort of Ballston Spa. Accustomed to the relative equality of a Vermont farming village, Orestes was shocked by the extravagance of the resort's guests and the servility of the slaves, servants, and staff who catered to them. "Wealth, more frequently the veriest shadow of wealth, no matter how got or how used, is the real god, the omnipotent Jove, of modern idolatry," he wrote bitterly. Brownson's work on the newspaper was the beginning of his political education. From Comstock, he absorbed the idea that democracy was threatened by money and privilege and that "nonproducers" such as lawyers, bankers, and the clergy were parasites living off the labor of the working class. These principles remained the basis of his politics throughout the 1820s and 1830s. At the urging of his aunt, Asenath Delano, a leader of the small Universalist society in Ballston, Brownson read some basic Universalist literature. He was unimpressed by Elhanan Winchester, Charles Chauncy, and Joseph Huntington, and disturbed by Hosea Ballou's Treatise on Atonement. Ballou's ridicule of orthodox belief, together with the worldly and irreligious atmosphere of Ballston Spa, caused Brownson to wonder if there was any truth to religion at all. In an 1834 letter, he wrote that he "was soon a Deist, and before I was seventeen an Atheist." When he was 19, however, he made a desperate attempt to regain his faith by joining the Presbyterian church. The experience was an unhappy one, and he left the church after nine months. By this time Brownson's apprenticeship had ended. He studied for a few months at Ballston Academy, then became a schoolteacher in nearby Stillwater and in Camillus, in western New York. In 1824 he took a teaching position in Springwells, Michigan, near Detroit. Within a few months, he contracted malaria, and spent most of his time in Michigan ill or convalescing. In less than a year he was back in Camillus. His brief stay in Michigan may nevertheless have changed the course of his life. Detroit at that time was a largely French-speaking, Catholic community. At a time when most Americans thought of Catholicism as, at best, an obsolete religion superseded by a more advanced form of Christianity, Brownson was one of the few American Protestants to have experienced the Catholic church as a living and benign presence. During his time in Springwells and Camillus, Brownson continued to consider the arguments for and against universal salvation. In 1825 he declared himself a Universalist. He consulted Dolphus Skinner, the Universalist minister in Saratoga Springs, New York, about entering the ministry. Skinner recommended that he study with his own mentor, Samuel Loveland. Brownson was soon after accepted into fellowship as a Universalist evangelist. During 1825-26 he prepared for the ministry under Loveland's guidance. He was ordained in 1826. Brownson spent the three and one-half years of his Universalist ministry at a succession of small churches in New York state. After his ordination, he obtained a temporary position supplying pulpits in Fort Ann and Whitehall, near the Vermont border. This was followed by a series of settlements in central New York: Litchfield, 1826-27; Ithaca and Genoa, 1827-28; and Auburn, 1829. In 1827 Brownson married Sally Healy, a daughter of the family with which he had boarded while teaching in Camillus. The couple eventually had eight children. Shortly after arriving in New York, Brownson was caught up in a dispute about the advisability of organizing a New York State Convention of Universalists. He joined a group of ministers, led by Linus Smith Everett, who opposed the convention out of concern about its ill-defined and, in their opinion, arbitrary disciplinary powers. This drove a wedge between Brownson and Dolphus Skinner, who was one of the convention's strongest supporters. When Everett moved to Massachusetts in late 1828, he arranged for Brownson to succeed him as minister at Auburn and as editor of a Universalist newspaper, theGospel Advocate. An inexperienced editor, Brownson soon became embroiled in a dispute with Theophilus Fisk, a former owner of the Gospel Advocate. In the course of the argument, Fisk charged that Brownson had renounced Christianity and become "a secret agent of infidelity." Though Brownson's theology was less orthodox than Fisk's, it was well within the range of opinions held by Universalists of his time. Many Universalists, however, were prepared to believe Fisk's allegations - particularly after Brownson defended Abner Kneeland, then being dismissed from his church on the ground of infidelity, and wrote admiringly of the notorious freethinker Frances Wright. 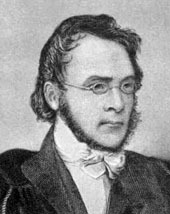 Even those who approved of Brownson's theology criticized the Gospel Advocatefor "splitting straws" with other Universalists instead of spreading the message of universal salvation. At a time when Universalists were worried by the rise of a confident and united evangelical party in American politics, they were particularly sensitive to anything that might bring the denomination into disrepute. In October, 1829, Brownson returned from a six-week trip to New England to find that, in his absence, Dolphus Skinner had bought the Gospel Advocate. He merged it with his own Utica Magazine and eliminated Brownson's editorial position. Unable to stay on as assistant editor or to find work on other Universalist publications, Brownson joined the staff of the Free Enquirer, the avowedly anti-religious paper co-edited by Frances Wright. This confirmed the mistaken idea that his enemies already had about him: that he was an "infidel," and possibly mentally unbalanced as well. Brownson's separation from the Universalist denomination was made formal in September 1830, when the Universalist General Convention voted "that there is full proof that said Kneeland and Brownson have renounced their faith in the Christian Religion, which renunciation is a dissolution of fellowship with this body." As the years went by, Brownson found it convenient to accept "infidelity" as the explanation for his departure from Universalism. As a Unitarian minister in the 1830s, he wore the "infidel" label with a certain degree of pride, using it to establish himself as an authority on the arguments most likely to appeal to unbelievers. His 1840 novel Charles Elwood, or the Infidel Converted was understood to be a thinly disguised history of his own case. After he converted to Catholicism, the story of his past infidelity fit in with the narrative of his progress toward Catholicism, and supported his case for the inadequacy and incoherence of Protestantism. After his departure from the Universalists, Brownson renounced sectarian religion in favor of social reform, declaring himself to be a "philanthropist" rather than a "religionist." For a few months in 1830 he edited the Genesee Republican, a newspaper of the Workingmen's party in New York State, but he quickly decided that this party lacked the broad support necessary to spearhead an effective reform movement. 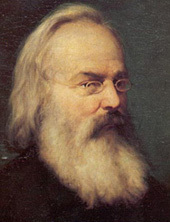 Just as he became disillusioned with Workingmen politics, Brownson experienced a spiritual conversion that led him to declare himself a Unitarian. Behind this re-conversion lay his belief that he detected a divine voice within his soul, an experience that reaffirmed for him the existence of a paternal God. By early 1831, Brownson had resumed preaching on an independent basis, affirming his affinity for Unitarians, who taught that "God is our Father, that all men are brethren, and that we should cultivate mutual good will." In making this turn towards Unitarianism, Brownson had been influenced by William Ellery Channing, especially his 1828 sermon, "Likeness to God." Brownson established a newspaper called the Philanthropist, probably the only Unitarian periodical in New York State at the time. Although he managed to keep it afloat for about two years, he was forced to fold the insolvent paper in 1832. Financial necessity and growing ambitions led Brownson to seek a regular pulpit, with a salary to support himself, his wife, and two young sons. He accepted a call to Walpole, New Hampshire, a move that put him within the orbit of Boston, the center of American Unitarianism. He attended gatherings of the American Unitarian Association and began publishing essays in Boston Unitarian periodicals, including the Christian Register, the Unitarian, and the Christian Examiner. In 1834 Brownson began serving the church in Canton, Massachusetts, fifteen miles from Boston. From that post, he began to advocate for fundamental social reform. In an 1834 Fourth of July address, for instance, Brownson expressed concern that economic inequality was growing, and noted that the nation was failing to live up to the principle of equality embedded in the Declaration of Independence. His social radicalism alienated some of his parishioners. When his contract was renewed in 1836, ten church members voted against his retention. In the summer of 1836, Brownson seized upon an opportunity suggested by George Ripley, to become a minister-at-large for the poor and working classes of Boston (a position previously filled by Joseph Tuckerman). Moving his family to the suburb of Chelsea, Brownson launched the Society for Christian Union and Progress, which he hoped would allow him to unite Christianity with social reform. In 1836 he published a short book, New Views of Christianity, Society, and the Church, in which he diagnosed the ills of contemporary Christianity and proposed a cure based upon the theological principle of atonement. He reinterpreted atonement by envisioning Jesus mediating between the spiritual and the material; once humanity understood the unity of the spiritual and the material, he believed, "Man [will] stand erect before God as a child before its father," and therefore "Man will reverence man." Brownson achieved rapid success in attracting listeners—hundreds attended his weekly preaching. The Panic of 1837 inspired Brownson to sharpen his criticisms of the economic status quo. In a fervid sermon entitled "Babylon is Falling," he predicted the end of the commercial system of banks and paper money, which he believed promoted "artificial inequality." William Ellery Channing and other socially conservative Unitarians were less than pleased with Brownson's radical pronouncements. Brownson, however, was energized by his time in Boston. In 1838 he launched theBoston Quarterly Review, in which he hoped to reach a larger audience. The next several years were tumultuous for Brownson. In 1836, with a number of current and former Unitarian ministers, including his friend Ripley, Ralph Waldo Emerson, Frederic Hedge, and Theodore Parker, he had attended the first meeting of what would become known as the Transcendentalist Club. Brownson expressed support for the basic principle of Transcendentalism: that every human had the potential to gain direct, intuitive access to spiritual and moral truth. Though he harshly criticized the radical individualism expressed by Emerson in his 1838 address to the Harvard Divinity School graduates and by Parker in his 1841 sermon "The Transient and Permanent in Christianity," Brownson nevertheless aligned himself with the Transcendentalists during the late 1830s and early 1840s. Brownson harnessed his evolving religious beliefs to his desire for radical social and economic change. He called first for a new church and then, more radically, for "no church," by which he meant the replacement of the morally hollow activities of praying and psalm-singing with strenuous effort to create an actual Christian community. He asserted that social reform is the true religion of Jesus: "No man can enter the kingdom of God, who does not labor with all zeal and diligence to establish the kingdom of God on the earth; who does not labor to bring down the high, and bring up the low; to break the fetters of the bound and set the captive free." In his incendiary 1840 essay "The Laboring Classes," he predicted possible class warfare—"now commences the new struggle between the operative and his employer, between wealth and labor"—and argued for a radical solution to the inequality generated by the wage system: the abolition of hereditary property and the creation of a fund to provide educational and occupational opportunities for all young men and women as they reached adulthood. The essay was greeted with intense hostility, even by his own Democratic party. Brownson was disappointed by the response to his plan and devastated by the Whig victory in the presidential election of 1840. He believed that voters had been duped by the packaging of William Henry Harrison as the "man of the people" when the Whigs' policies actually supported the economic interests of the wealthy and undermined constitutional limitations on government power. Brownson was one of the few people at the time who understood the implications of the commodification of public opinion and the threat it posed to democratic government. Of what use was theoretical political equality if the wealthy could use their wealth to convince the working classes to vote against their own best interests? "Man, against man and money," he recognized, was "not an equal match." As Brownson became disillusioned with democratic politics and secular reform in general, he experienced another resurgence of faith that led him to return to preaching in 1842. Later that year, he published an open letter to Channing entitled The Mediatorial Life of Jesus. He believed that Pierre Leroux's concept of the collective life of humanity explained the transmission of human sinfulness from generation to generation. He saw in this a means of redemption. Jesus, who was both divine and human, performed the critical function of transmitting his divine life to humanity. All that humanity needed to do to be saved was to join in communion with the divine essence of Jesus. In early 1843 Brownson published an extraordinary series of articles in the Christian World, a new Unitarian periodical. After establishing a few key principles—that humans were sinful, that they needed to be redeemed, and that God had surely provided a means of redemption—Brownson began his intellectual march toward Rome. He explicitly repudiated traditional Protestant soteriology, denying that individuals could read the Bible profitably without guidance and arguing that faith was the result rather than the cause of being saved. What was needed, Brownson asserted, was a church that embodied Christ's "life" (in Leroux's sense) and that could provide both guidance and grace. TheChristian World cut Brownson off before he could draw conclusions about what church deserved allegiance, but his trajectory made it clear enough that he no longer represented a Unitarian perspective. For Brownson, it remained but to answer a historical question: which church was the true church? Ideally, the fragments of the church universal might unite, but barring that unlikely outcome, Brownson was beginning to see that his line of thought led him almost inexorably toward the Roman Catholic Church. In the July 1844 issue of Brownson's Quarterly Review (he had revived his journal earlier that year), he announced his final conclusion: "either the church in communion with the See of Rome is the one holy catholic apostolic church or the one holy apostolic church does not exist." After Brownson, along with his wife and children, converted to Catholicism, he became an aggressive Catholic apologist, whose anti-Protestant rhetoric alienated even some Catholics. By the late 1850s he had adopted a more conciliatory tone, emphasizing the continuity between Catholic and American values, and encouraging Catholic immigrants to take their rightful place as Americans. His autobiography, The Convert, 1857, was part of his effort to explain Catholicism to Protestant Americans. During the 1860s, his most liberal Catholic period, he argued that the Catholic church should incorporate insights from modern science and democracy. Although Brownson disapproved of slavery, before the Civil War he had opposed the abolitionist movement. Since he believed that labor for wages was tantamount to slavery, he did not think slavery justified placing the nation at risk. Once secession and war had actually come, he supported the Union and supported emancipation as a war measure. He became a Republican and ran for Congress, unsuccessfully, in 1862. After losing two sons in the war, in 1864 Brownson ended the twenty-year run of his Quarterly Review. After the war Brownson continued to write for other Catholic publications. He remained an active lecturer and a prolific writer until his death in 1876. Although he sometimes accepted oversight from his bishop, he never abandoned the spirit of intellectual freedom that he had developed as a Universalist and a Unitarian. The Archives of the University of Notre Dame hold the Orestes A. Brownson Papers. Letters written by Brownson exist in numerous libraries, including the Houghton Library at Harvard University. For early correspondence, see Daniel Barnes, "An Edition of the Early Letters of Orestes Brownson" (Univ. of Kentucky thesis, 1970). The best resource for locating Brownson's published writings is Patrick W. Carey, Orestes A. Brownson: A Bibliography, 1826-1876 ( 1997). Most of Brownson's published work is available in one of three editions: The Early Works of Orestes A. Brownson, 7 vols, edited by Patrick W. Carey (2000-2005), which collects Brownson's writings up to 1844; The Works of Orestes A. Brownson, 20 vols, edited by Henry F. Brownson (1882-1906), which contains Brownson's post-Catholic conversion publications; and Orestes Brownson: Works in Political Philosophy, 5 volumes (projected), edited by Greg Butler (2003- ). Brownson's autobiography, The Convert (1856), is an essential work, if used carefully and in the light of other sources. The best modern biography of Brownson is Patrick W. Carey,Orestes A. Brownson: American Religious Weathervane (2004). A number of older biographies, including Henry F. Brownson, Orestes A. Brown's Early Life (1898), Middle Life(1899), and Later Life (1900); Theodore Maynard, Orestes Brownson: Yankee, Radical, Catholic (1943); and Arthur M. Schlesinger, Jr., A Pilgrim's Progress: Orestes A. Brownson(1939) continue to be valuable resources. Brownson's earliest years are covered by Lynn Gordon Hughes, "The Making and Unmaking of an American Universalist: the Early Life of Orestes A. Brownson, 1803-1829" (Brown Univ. thesis, 2007). Part of this was published as "Orestes A. Brownson's This-Worldly Universalism," Journal of Unitarian Universalist History (2008). On Brownson's middle years, see David J. Voelker, "Orestes Brownson and the Search for Authority in Democratic America" (Univ. of North Carolina at Chapel Hill dissertation, 2003). Philip F. Gura takes Brownson's roles in the Unitarian and Transcendentalist movements seriously in American Transcendentalism: A History (2007). Ann C. Rose,Transcendentalism as a Social Movement, 1830-1850 (1981) and William R. Hutchison, The Transcendentalist Ministers: Church Reform in the New England Renaissance (1959) are also valuable studies on this count. Olympia Brown (January 5, 1835-October 23, 1926) dedicated her life to opening doors for women. 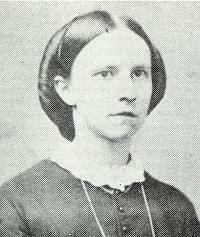 Among only a handful of women to graduate from college, she received her Bachelor of Arts degree from Antioch in 1860 and three years later became the first woman graduate of a regularly established theological school: St. Lawrence University. She was ordained a Universalist minister, the first woman to achieve full ministerial standing recognized by a denomination. As a young minister, she took an active role in the women's suffrage movement and was one of the few original suffragists who lived to vote in the 1920 presidential election. The Unitarian School of Meadville, Pennsylvania, replied to her request for admission saying that "the trustees thought it would be too great an experiment" to admit a woman. Oberlin replied that she could be admitted but could not participate in public exercises. Finally, Ebenezer Fisher, President of the Universalist Divinity School at St. Lawrence University, offered her admission but added that he "did not think women were called to the ministry. But I leave that between you and the Great Head of the Church." This, Olympia thought, "was exactly where it should be left. But when I arrived, I was told I had not been expected and that Mr. Fisher had said I would not come as he had written so discouragingly to me. I had supposed his discouragement was my encouragement." Although her mother and her friends advised her against marriage because they thought it would interfere with her career as a minister, she married John Henry Willis in 1873. She "thought that with a husband so entirely in sympathy with my work, marriage could not interfere, but rather assist. And so it proved, for I could have married no better man. He shared in all my undertakings." As did Lucy Stone, Olympia Brown kept her maiden name, with Willis's agreement. It was a most felicitous marriage. When her husband died, unexpectedly in 1893, she wrote: "Endless sorrow has fallen upon my heart. He was one of the truest and best men that ever lived, firm in his religious convictions, loyal to every right principle, strictly honest and upright in his life,....with an absolute sincerity of character such as I have never seen in any other person." A son, Henry Parker Willis, was born in 1874 and a daughter, Gwendolen Brown Willis, in 1876. At the time of her death, The Baltimore Sun captured the independence, fearlessness and passionate commitment to justice of the Reverend Olympia Brown by stating; "Perhaps no phase of her life better exemplified her vitality and intellectual independence than the mental discomfort she succeeded in arousing, between her eightieth and ninetieth birthdays, among the conservatively minded Baltimorans." Olympia Brown's papers and documents relating to her work are held at the Schlesinger Library, the Radcliffe Institute, Harvard University in Cambridge, Massachusetts; the State Historical Society of Wisconsin; and in the papers of the National Woman's Party at the Library of Congress. Brown's writings include "Hand of Fellowship" and "Installation Sermon," Services for the Ordination of the Reverend Phebe A. Hanaford as Pastor of the First Universalist Church in Hingham, Massachusetts, Feb. 19, 1868 (1870); "The Higher Education of Women," The Ladies' Repository, A Universalist Monthly Magazine for the Home Circle (1874); "Crime, Capital Punishment and Intemperance," Papers and Addresses, Columbian Congress of the Universalist Church, Chicago (1893); Acquaintances Old and New Among Reformers (1911); and Democratic Ideals; A Memorial Sketch of Clara B. Colby(1917). Some of Browns works are collected in Dana Greene, editor, Suffrage and Religious Principle: Speeches and Writings of Olympia Brown (1988). "Olympia Brown: Two Sermons: 'But to Us There is One God' and 'Man Does not Live by Bread Alone,'" with an introduction by Ralph N. Schmidt, was published in The Annual Journal of the Universalist Historical Society (1963). Printed in the same issue was "Olympia Brown: An Autobiography," edited and compiled by Gwendolyn Brown Willis. Most of the quotations in the above article come from this source. Olympia Brown (5 janvier 1835 - 23 octobre 1926) a consacré sa vie à l'ouverture des portes pour les femmes. Parmi seulement une poignée de femmes diplômées de l'université, elle a obtenu son baccalauréat ès arts d'Antioche en 1860 et trois ans plus tard elle devenait la première femme diplômée d'une école de théologie régulièrement établie: St. Lawrence University. Elle a été ordonnée ministre universaliste, la première femme à atteindre un rang ministériel complet et reconnu par une dénomination. Comme un jeune ministre, elle a pris un rôle actif dans le mouvement pour le suffrage des femmes, et a été l'une des rares suffragettes originales qui vivaient pour voter à l'élection présidentielle de 1920. La première de quatre enfants, Olympia Brown est née des universalistes Asa B. et Lephia Olympia Brown du Vermont, pionniers dans Prairie Ronde, dans le Michigan. Déterminée à donner à ses enfants une bonne éducation, son père a construit une école dans sa ferme. Lui et Olympia allaient de maison en maison pour enrôler les dons de leurs voisins pour l'embauche d'un enseignant. Les enfants Brown plus tard fréquentèrent l'école de la ville voisine de Schoolcraft. Olympia était déterminée à aller au collège et persuadait son père de lui permettre ainsi qu'une sœur plus jeune d'entrer à Mount Holyoke Female Seminary de Mary Lyons dans le Massachusetts. Après une année malheureuse dans l'atmosphère rigide calviniste d'ici, Olympia est allée à Antioch College à Yellow Springs, Ohio, où Horace Mann était président. Son expérience était si positive que sa famille déménagea à Yellow Springs pour que les quatre enfants reçoivent une bonne éducation. Alors à Antioche, Olympia Brown invita Antoinette Brown (aucune relation) à donner des conférences et à prêcher. "Ce fut la première fois que j'ai entendu prêcher une femme" elle se souvenait, "et le sens de la victoire me souleva. Je me sentais comme si le royaume des cieux était à portée de main." Sa prochaine étape était l'école théologique, même si les écoles théologiques de l'époque n'accueillaient pas les femmes. "Le ministère a été le premier objectif de sa vie", a écrit Gwendolen Brown Willis, "puisque, dans son enthousiasme juvénile elle croyait que la liberté de la pensée religieuse et qu'une église libérale fourniraient les bases de toutes les autres libertés. Ses difficultés et déceptions dans ce domaine ont été nombreuses. Ce qu'elle pouvait élever au-dessus de telles difficultés et désillusions était la conséquence de l'espoir et du courage dont elle était richement dotée." L'École unitarienne de Meadville, en Pennsylvanie, répondit à sa demande d'admission en disant que "l'administration pensait que ce serait une grande expérience" d'admettre une femme. Oberlin a répondu qu'elle pouvait être admise, mais ne pouvait pas participer à des exercices publics. Enfin, Ebenezer Fisher, présidente de la Divinity School Universalist à l'université de Saint-Laurent, a offert son admission, mais ajouta qu'elle "ne pensait pas que les femmes étaient appelées au ministère. Mais je laisse cela entre vous et le Grand Chef de l’Église." De ceci, Olympia pensait, "c'était exactement là où il devrait être laissé. Mais quand je suis arrivé, on m'a dit que je n'avais pas été prévue et que M. Fisher avait dit que je ne viendrais pas comme il l'avait écrit et c'était si décourageant pour moi. J'ai supposé que son découragement était mon encouragement." Entrant dans l'école de théologie en 1861, elle termina son programme d'études en 1863. Elle a dû convaincre ceux qui s'étaient opposés aux femmes dans le ministère qu'ils puissent compléter les cours d'étude exigés comme louablement elle l'avait fait. Puis elle a dû convaincre les ministres réticents pour son ordination et lui permettre d'être appelée au ministère paroissial. Malgré une opposition considérable, Brown l'emporta dans les deux buts. Cette détermination la caractérisait tout du long de sa longue et fructueuse vie. En 1864, elle a été appelée à son premier ministère paroissial à temps plein à Weymouth Landing, dans le Massachusetts. A cette époque Olympia Brown est devenue active dans le mouvement des droits des femmes, en collaboration avec Susan B. Anthony, Lucy Stone et d'autres dirigeants. À l'été de 1867, à l'instigation de Lucy Stone et son mari, Henry Blackwell, elle accepta de prendre une campagne rigoureuse dans le Kansas pour exhorter le passage d'un amendement pour le suffrage des femmes. La paroisse de Weymouth Landing a généreusement donné leur ministre un congé pour une absence de quatre mois pour remplir cet engagement. Bien que Henry Blackwell assura Brown qu'il avait pris toutes les dispositions pour sa campagne, elle est arrivée à Kansas pour constater que peu, sinon rien n'avait été fait en son nom. Elle avait à faire ses propres arrangements pour voyager, trouver un logement dans chaque ville, annoncer ses allocutions, des salles sécurisées où parler et faire face à ceux qui étaient déterminés à perturber ses discours. Souvent, elle a dû faire face en bas citadins hostiles qui voulaient la discréditer ainsi que la cause du suffrage de la femme. Brown prit ces obstacles comme des défis à surmonter et garda ses yeux fermement sur son but. En dépit de la chaleur insupportable et des vents violents, elle a persévéré et monté une campagne animée, donnant plus de 300 discours. Elle ne se découragea pas quand seulement un tiers de la population des votants (tous de sexe masculin, bien sûr) approuva l'amendement. En dépit du vote final Susan B. Anthony considérait le travail de Olympia Brown comme un glorieux triomphe. En 1870, Brown était prête pour un autre défi et accepta un appel à l’église universaliste à Bridgeport, dans le Connecticut, "pensant un plus grand champ d'utilité." Même si l'église avait beaucoup de membres, "certains avaient perdu tout intérêt et il y avait même eu une tendance à fermer l'église." Elle a également constaté que "contrairement à mes personnes à Weymouth, ils n'avaient pas une telle largeur de vision." Bien que sa mère et ses amis la conseillèrent contre le mariage parce qu'ils pensaient que cela nuirait à sa carrière en tant que ministre, elle épousa John Henry Willis en 1873. Elle pensait qu'avec un mari si entière en sympathie avec mon travail, le mariage ne pouvait pas poser de problèmes, mais plutôt aider. Et cela a été prouvé, car je ne pouvais pas épouser meilleur homme. Il a partagé dans toutes mes entreprises." Comme l'a fait Lucy Stone, Olympia Brown a gardé son nom de jeune fille, avec l'accord de Willis. Ce fut un mariage des plus heureux. Quand son mari est mort, de façon inattendue en 1893, elle a écrit: "Une douleur infinie est tombée sur mon cœur, il était l'un des hommes les plus vrais et les meilleurs qui n'ont jamais vécus, ferme dans ses convictions religieuses, fidèle à tous les principes droit, strictement honnête et droit dans sa vie, .... avec une sincérité absolue de caractère tel que je ne l'ai jamais vu dans toute autre personne." Un fils, Henry Parker Willis, est né en 1874 et une fille, Gwendolen Brown Willis, en 1876. Au cours de son congé de maternité pour son premier enfant, une partie à l'église de Bridgeport a commencé à s'agiter pour mettre fin à son ministère. Comme elle a écrit dans son autobiographie: "bien que (ou parce que) ma paroisse m'a donné un vote d'approbation adopté par une large majorité, ces ennemis ont continué.... appelant les ministres des églises voisines... promulguant la doctrine, "ce que vous avez besoin ici c'est un homme bien." A la fin de 1874, Brown a décidé de démissionner de son ministère. Elle et son mari sont restés à Bridgeport pendant deux ans de plus, au cours desquels sa fille est née. Avec l'esprit caractéristique, raconte Olympia "après cette période tumultueuse à Bridgeport, je considérais où je devais aller pour poursuivre le travail de la prédication, pour laquelle je devais, comme je le pensais, un appel distinct." Découvrant qu'à une église universaliste à Racine, Wisconsin, il y avait besoin d'un ministre, elle a écrit à M. A.C. Fish, le secrétaire de la société, pour offrir ses services. Il a répondu que la paroisse était dans un état malheureux, grâce à "une série de pasteurs faciles, peu pratiques et certains avaient même été spirituellement indignes, qui avaient quitté une église en dérive, dans la dette, sans espoir et il est douteux qu'un pasteur puisse à nouveau les réveiller." Ce fut précisément le genre de défi que Olympia recevait. Il est vrai aussi que ses options étaient limitées. De sa carrière en tant que ministre de la paroisse, elle a écrit: "Ceux qui peuvent lire ce sera étrange que je ne pouvais trouver un champ en ruine ou des églises comateuses, mais ils doivent se rappeler que les chaires de toutes les églises prospères étaient déjà occupées par les hommes, et étaient regardées avec impatience comme l'objectif de tous les jeunes gens pour venir dans le ministère avec qui, dans un premier temps le seul prédicateur féminin dans la dénomination, j'étais en compétition. tout ce que je pouvais faire était de prendre un endroit qui avait été abandonné par d'autres et de faire quelque chose, et cela, je ne fut que trop heureuse de le faire." Avec deux petits enfants à soutenir, John Willis ferma son entreprise à Bridgeport et alla pour Racine afin de trouver une maison et du travail. Ce type de soutien aux efforts de sa femme a été typique pour lui tout au long de leur vie conjugale. Il est devenu l'un des propriétaires de The Racine Times-Appel journal et a travaillé activement pour soutenir le ministère de sa femme. Rajeunir la société universaliste à Racine n'était pas une tâche pour les faibles de cœur, mais Brown régla à ce sujet avec sa compétence habituelle, le dévouement et la compétence pratique. Non seulement a t-elle donné un nouveau souffle dans la société, mais elle a également établi un centre d'apprentissage et des activités culturelles. Amenant des orateurs célèbres comme Elizabeth Cady Stanton, Julia Ward Howe, et Susan B. Anthony, elle a ajouté énormément à la vie de la communauté environnante. Après neuf ans de reconstruction, elle estimait que sa paroisse était capable de se maintenir, et elle prit une décision capitale. A l'âge de 53 ans, elle a décidé de faire un changement de carrière. Bien qu'elle continuerait à travailler en tant que ministre à temps partiel dans les petites congrégations du Wisconsin, Brown quitta le ministère à plein temps pour devenir activiste pour les droits des femmes. Parce que son nouveau rôle nécessitait beaucoup de voyages, elle avait la chance d'avoir à la fois un mari pour la soutenir et une mère capable à la maison pour prendre soin de la famille. Olympia Brown était un organisateur infatigable et efficace pour les initiatives de suffrage au niveau de l'État et national, menant la Wisconsin Suffrage Association depuis de nombreuses années et servant en tant que vice-présidente de la National Association Woman Suffrage, comme Matilda Joslyn Gage et Elizabeth Cady Stanton, elle promut un large éventail de réformes en faveur des femmes, estimant que l'éducation était la clé de la promotion de la femme, elle a travaillé sans relâche pour que les femmes soient admises dans les collèges et les écoles professionnelles. Dans les années 1890 Brown était convaincue que le mouvement de suffrage languissait dans ce qu'elle considérait la direction terne de Carrie Chapman Catt et d'Anna Howard Shaw. Peu de progrès avaient été accomplis vers un amendement pour suffrage, les suffragettes plus âgées étaient mortes ou ignorées, et à son avis le feu semblait être sorti du mouvement. Ce n'est pas avant qu'Alice Paul et Lucy Barnes commencèrent le Parti de la Femme en 1913 que Brown se sentit optimiste quant à la cause du suffrage. Elle se félicitait des tactiques de confrontation et de manifestation du Parti de la Femme et était transportée de joie avec leur stratégie de mise en place de grandes veillées et de manifestations pour mobiliser le soutien. Lorsqu'on lui demanda d'être un membre fondateur de ce groupe plus militant et énergique, elle a déclaré: "Je faisais partie de ce parti avant que je sois née." Brown s'est jointe dans la plupart des manifestations organisées par le Parti de la Femme. Dans la pluie verglaçante, par grand froid, en dépit des confrontations dangereuses et peu de protection de la police contre les chahuteurs, le ministre octogénaire du Wisconsin était là. Au cours d'une démonstration mémorable, protestant contre le refus de Woodrow Wilson pour l'amendement de suffrage, elle a brûlé publiquement ses discours devant la Maison Blanche. Lorsque la modification de suffrage a finalement été adoptée en 1919, Brown a été l'une des rares suffragettes originales qui étaient encore en vie pour savourer le triomphe. Elle a voté à sa première élection présidentielle à l'âge de 85 ans. Prenant la parole à l'église Racine à l'automne de 1920, sur les changements qui avaient eu lieu depuis sa démission en tant que ministre, elle dit, "la chose grandiose a été l'élévation des portes et l'ouverture des portes pour les femmes d'Amérique, donnant la liberté à vingt-sept millions de femmes, leur ouvrant ainsi eux une vie nouvelle et plus grande et un idéal plus élevé." Dans ce sermon, elle a également témoigné de l'importance dans sa vie de l'Universalisme, "la foi dans laquelle nous avons vécu, pour lesquels nous avons travaillé, et qui nous a lié ensemble comme une église.... Chers amis, tenons nous par cette foi. Travaillons pour elle et sacrifions pour elle. Il n'y a rien dans le monde entier si important pour vous que d'être fidèle à cette foi qui a placé devant vous le plus haut idéal, qui vous a réconforté dans la douleur, renforcé pour le noble devoir et fait le beau monde pour vous." Après la victoire de suffrage, Brown se consacra à la promotion de la paix mondiale et est devenue l'un des membres fondateurs de la Ligue Internationale des Femmes pour la Paix et la Liberté. Dans ses dernières années, elle a passé les étés à sa maison au bord du lac à Racine et des hivers à Baltimore avec sa fille Gwendolen, qui enseignait le grec et le latin à l'école Mawr Bryn ici. Elle est morte à Baltimore à 91 ans et a été enterrée à côté de son mari dans le cimetière de Mound de Racine. Au moment de sa mort, Le Baltimore Sun a montré l'indépendance, l'intrépidité et l'engagement passionné pour la justice du révérend Olympia Brown en déclarant: "I n'y a peut-être pas de meilleure phase de sa vie pour illustrer sa vitalité et l'indépendance intellectuelle que l'inconfort mental, elle a réussi à susciter, entre ses quatre vingtième et quatre vingt-dixième, parmi les l'esprit conservateur des Baltimoriens." L'église de Brown qui aida à revitaliser à Racine a été rebaptisée Brown Unitarian Universalist Church Olympia. En 1975, un groupe de paroissiens montèrent une campagne réussie pour avoir une école primaire dans Racine nommée en son honneur. Rien n'aurait rendu ce promoteur de l'éducation, en particulier pour les femmes, plus fier. La flamme de son esprit brûle encore aujourd'hui. *Les papiers et documents relatifs au travail d'Olympia Brown sont à la Bibliothèque Schlesinger, l'Institut Radcliffe, Université Harvard à Cambridge, Massachusetts; la Société historique de l'État du Wisconsin; et dans les journaux du Parti de la Femme nationale à la Bibliothèque du Congrès. Les écrits de Brown comprennent "Hand of Fellowship" et "Installation Sermon" Services pour l'Ordination du révérend Phebe A. Hanaford en tant que pasteur de la Première Église universaliste à Hingham, Massachusetts, le 19 février 1868 (1870); "L'enseignement supérieur de la femme," le dépôt des Dames, un magazine mensuel universaliste pour le Cercle d''accueil (1874); "Crime, la peine capitale et l'intempérance," Documents et Adresses, Columbian Congrès de l’Église Universaliste, Chicago (1893); Acquaintances Ancien et du Nouveau Parmi les réformistes (1911); et Idéaux démocratiques; A Memorial Croquis de Clara B. Colby (1917). Certaines des œuvres Browns sont recueillies à Dana Greene, rédacteur en chef, Suffrage et Principe religieux: Discours et Écrits de Olympia Brown (1988). "Olympia Brown: Deux Sermons: "Mais pour nous, il y a un seul Dieu" et "L'homme ne doit pas vivre seulement de pain", avec une introduction par Ralph N. Schmidt, qui ont été publiés dans Le Journal annuel de la Universalist Historical Society (1963 ). Imprimé dans le même numéro était "Olympia Brown: An Autobiography," édités et compilés par Gwendolyn Brown Willis. La plupart des citations dans l'article ci-dessus proviennent de cette source. Il y a une biographie de pleine longueur: Charlotte Cote, Olympia Brown: La bataille pour l'égalité (1988). D'autres études biographiques de Brown comprennent Charles E. Neu, "Olympia Brown et mouvement des suffragettes de la Femme, "Wisconsin Magazine d'Histoire (été 1960); Nancy Gale Isenberg, "Victoire de la Vérité: Le ministère féministe d'Olympia Brown," la thèse d'une maîtrise de l'Université du Wisconsin à Madison (1983); et Claudia Nichols, "Olympia Brown: ministre de la réforme sociale." Occasional Paper (Heritage Society de Unitarian Universalist Females, 1992). La Universalist Historical Society a publié Olympia Brown: Un volume de célébration du centenaire de Son Ordination et Graduation en 1863 (1963). Voir aussi E. Larkin Brown, "Notes autobiographiques," éditées par A. Ada Brown. Michigan Pioneer et Collections historiques (1905). De coutes biographies sont également disponibles dans le Célèbre Wisconsin Femmes , le volume 3 (1973); Catherine F. Hitchens, femmes ministres universalistes et unitariennes , un numéro spécial du Journal of the Universalist Historical Society (1975), et Dorothy May Emerson, rédacteur en chef, debout devant nous: Unitarian Universalist Womens et Social réforme, 1776-1936 (2000). The journalist, historian, novelist, Henry Brooks Adams ( February 16, 1838-March 27, 1918) was the son of Civil War diplomat Charles Francis Adams and Abigail Brooks Adams. His grandfather, John Quincy Adams was the sixth President of the United States. Henry Adams was christened by his uncle Nathaniel Langdon Frothingham, minister of Boston's First Unitarian Church. His formal education began in Boston, Massachusetts and continued in rural Quincy and at the Boston Latin school. He graduated from Harvard where he had family connections. His grandfather had taught rhetoric, his father was a board member, and his uncle Edward Everett had been president. Most Harvard faculty members, at that time, were Unitarian. After graduation in 1858, Henry went to Germany to study law but had problems with the language so he decided to travel instead. During his two years in Europe he interviewed Garibaldi in revolutionary Italy and he wrote newspaper articles as a correspondent for the Boston Courier. He returned to Boston on the eve of the Civil War in 1860 and tried to study law with Judge Horace Gray. His congressman father rescued him by making him his secretary. Henry continued his newspaper reporting, writing anonymously for the Boston Advertiser. When Congressman Adams was appointed United States Ambassador to England, Henry served as his father’s official secretary. For a while he sent news dispatches to the New York Times but stopped, fearing he would be discovered and charged with conflict of interest. The Adams' Unitarian acquaintances in England were: Charles Dickens, Harriet Martineau, and geologist Sir Charles Lyell. He reviewed Lyell’s Principles of Geology for the North American Review. Henry was in England for the duration of the Civil War. Returning to the United States, Henry Adams took up journalism and political reform. Articles he wrote appeared in the recently founded Nation and the New York Post. He advocated revenue reform and associated with those who had similar concerns in Washington. His hopes for President Grant were disappointed. Although disappointed politically, he enjoyed the informal Capitol life. The Edinburgh Review published his articles about corruption bringing him public attention. 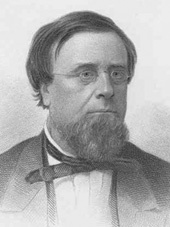 Harvard reform President Charles W. Eliot appointed him assistant professor of medieval history in 1870. 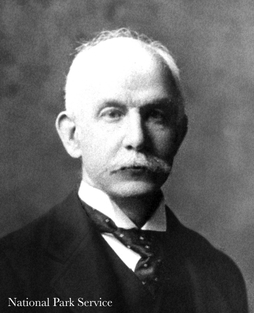 He usually socialized with younger Cambridge men, John Fiske, and Oliver Wendell Holmes, Jr., but he also visited the Ephraim Gurney household. There he renewed his acquaintance with Miss Marian Hooper, also known as Clover. Her sister was the wife of Harvard Dean Ephraim Gurney. It was Gurney who later hired Adams as North American Review editor. Adams had met his future wife Marian Hooper (September 13, 1843-December 6, 1885), in 1866 when she was traveling in England with her father ophthalmologist Robert William Hooper. Her mother Ellen Sturgis Hooper, had been a minor poet and Transcendentalist. The Hoopers devoted themselves to philanthropy, art, and the education of their three children. Marian studied at Elizabeth Cary Agassiz’s Cambridge school. Dr. Hooper owned a King’s Chapel pew, while his wife attended James Freeman Clarke’s radically experimental Church of the Disciples, Boston. Marian’s grandparents entertained Emerson, and her mother and Aunt Caroline attended Margaret Fuller’s 1839 Conversations. They also contributed poetry to the Dial, the Transcendentalist journal. Clover’s mother wrote “Dry Lighted Soul,” dedicated to Ralph Waldo Emerson. Henry and Marian were married on June 27, 1872 at the Hooper home in Beverly, Massachusetts by Rev. Charles Edward Grinnell (1841-1916), an 1865 Harvard Divinity School graduate. Adams called Grinnell “a jolly young fellow of our set.” Traveling to Europe following their wedding, they visited Henry’s father in Geneva where he was negotiating Civil War claims with the British. Henry and Clover proceeded to Berlin where her Unitarian cousin George Bancroft, U.S. Minister to Germany, introduced him to European historians and legal scholars. Returning home after their honeymoon, Henry resumed his duties at Harvard in 1873. He was one of the first professors to teach using seminars. His Documents Relating to New England Federalism(1877), two biographies, John Randolph (1884) and The Life of Albert Gallitin (1879), and the nine volume History of the United States During the Administrations of Jefferson and Madison (1889-91) grew out of his graduate courses. His theme was the growth of America. The steamboat represented American power, as the dynamo would come symbolize a latter era. Chaffing at narrow academic life and clashing with the North American Review staff, he resigned his posts in 1877 and moved to Washington, D.C. to concentrate on writing. 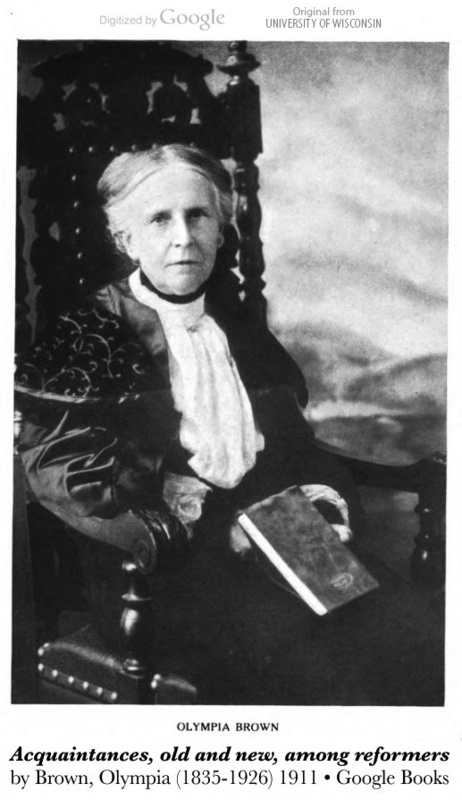 Marian Hooper Adams was reared a Unitarian but became skeptical in later life. She was always loyal to Emersonian naturalism and never lost her social conscience. She was concerned for Native Americans and she was involved in her family's work with the Freedmans Bureau providing education for freed slaves. She said she wanted “to overcome prejudices,” but she often expressed contradictory preferences. She liked Italians compared to Germany’s “beer-drinking warriors.” She liked the Spanish while overlooking the social decay and corruption in Spain. She helped Henry with his writing but lacked ways to express her social concerns after their move to Washington, D.C. Clover was also a feminist. She and her cousin Elizabeth Bancroft shared an interest in the unconventional author George Sand. Although Henry favored education for women he questioned their abilities. Nevertheless, Clover studied Greek and Portuguese and backed her sister’s efforts to establish the Harvard annex that became Radcliffe. Clover softened Henry’s view of women and education. She was eager when women could vote for the first time in the 1879 school committee elections. Clover’s Lafayette Square salon, across from the White House made her famous. John Hay, former Lincoln secretary and diplomat; Hay's wife Clara; and Clarence King, a geologist; made up their circle of friends known as the “Five of Hearts.” Mrs. Adams other interests included riding and portrait photography. She worked with photographic chemicals and darkrooms, processing her own pictures. She photographed her husband's parents and her portraits of Lincoln’s biographer John Hay and historian George Bancroft were significant. Although the Adamses didn't have children, she was a loving aunt to her five nieces, writing them stories, building them playhouses, and caring for them. Henry always had toys for little visitors. 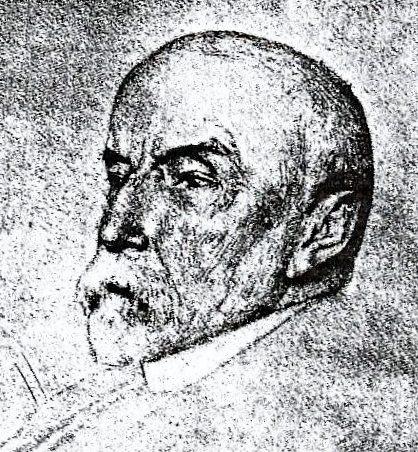 In addition to his historical writing, Henry Adams produced two novels, Democracy (1880) and Esther (1884). Like his wife Clover, the widowed Madeline Lee in Democracy, arrives in Washington, D.C. after a life of philanthropy. She organized a salon like Mrs. Adams. Writting under the name of Francis Snow Compton, he portrayed his wife again in Esther. He finished the book just before Clover’s death. Instead of the political corruption of Democracy, the novel concerns religion and its clash with science. Clover took her own life by swallowing photographic chemicals on December 6, 1885, a few months after her father died. Her family sent for Unitarian minister Edward Hall, and she was interred in Rock Creek cemetery. There may have been a hereditary basis for her death. Even by the standards of upper class society her family was inbred. Her aunt died by her own hand. Her brother and sisters all attempted suicide. They had planned to go to Japan together after the first half of his monumental history of the Jefferson and Madison years was finished. As a tribute to her memory, he made the trip with his friend, artist John LaFarge as his traveling companion. 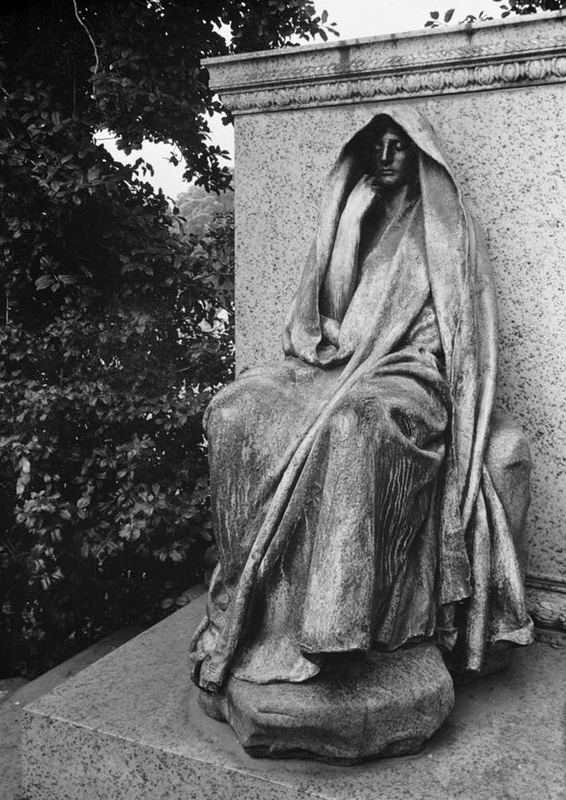 Before leaving, he chose Augustus Saint-Gaudens, whose work Clover appreciated, to create an enigmatic memorial bronze sculpture in Rock Creek Cemetery where she was buried. He went to the Polynesian islands in 1890, and in Samoa, he met Robert Louis Stevenson who sent him to Tahiti with an introduction to the pretender to the leadership of the Teva clan, Tati Salman. They adopted Adams and John Lafarge into their clan, which also had ethnic Jewish members. Adams recorded the memoirs and genealogy of Tati’s sister, the divorced former Tahitian Queen. Proceeding on toward Europe, Adams and LaFarge stopped in Ceylon, now Sri Lanka, where under a descendant of Buddha’s Bo Tree, Adams meditated for a half hour. Skeptically he said he left “without attaining Buddhaship.” Like other Bostonians and their contemporary Unitarian counterparts, however, he felt the lure of the East. Even with much traveling, Adams finished his South Sea Memoirs of Marau Taaroa, Last Queen of Tahiti (1893). It documented Imperialist damage to native people. He did not include this period in his Education of Henry Adams. The American Historical Association chose him president in absentia at their 1894 meeting, the same meeting where Frederick Jackson Turner read his famous paper on the frontier theory. 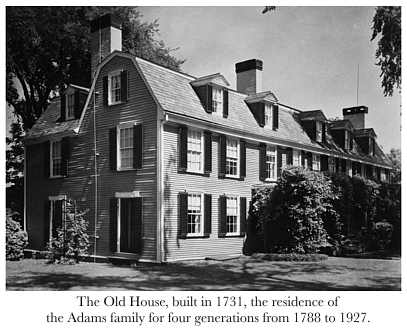 Following the financial catastrophe of 1893 Adams had to help straighten out family affairs. He entered into dark speculations with his brother Brooks Adams about the Dreyfus affair and other international plots. In a limited number of his very private letters he made the word “Jew” synonymous with bankers and captialists. He echoed British and American populist rhetoric. Earlier as a historian, however, he had thought Jews were slighted. The historians’s sister Louisa had married Charles Kuhn, a Jew, and they got on well together. During their marriage, the Adamses had Jewish friends. In his youth, Adams tried to use his connections to help an American Jewish family who were badly treated in their native Germany. He even imitated Disraeli’s political novels. Also in the 1890’s, he sympathized with secular Jews including Elsie de Wolfe, his “niece in wish.” He also became good friends with Bernard Berenson, the art critic. He characterized Edouard Drumont’s views as “anti-semitic ravings.” He finally said that he was undecided about the Dreyfus case. While deeply worried about the threat to France from the Dreyfus scandal, he genuinely desired justice. He also backed away from his conspiratorial theories after a good deal of research. He remained, however, anti-capitalist. His greatest fury was reserved for French anti-Semites and he was prepared to join the anarchists in their attack on them. During the same time, he feared tropical people would overwhelm the northern hemisphere, although he had written sympathetically about the Tahitians and championed the cause of Cuba. He did not discuss this period in his Education of Henry Adams. He was a complex human being. Privately, and in a limited way he had used very, injudicious language. Adams visited Cuba in 1894. Sympathy for the Cuban people led him to support the Cuban revolution. Cuban exiles met at the historian’s home across from the White House and planned delivery of arms and supplies. In a paper he wrote for the Senate Foreign Relations Committee, he encouraged United States intervention. After President McKinley’s assassination, Theodore Roosevelt invited him to the White House. The new Secretary of State, his friend John Hay, conferred with Henry and filled the Adams' house with dignitaries. History remembers Hay, Lincoln's Secretary and Secretary of State (1898-1905) as the architect of the Open Door Policy and the Hay-Pauncefote Treaty authorizing a Central American canal. By the turn of the century, however, he was an anti-imperialist ready to free the Philippines. As the new century began he feared Russia and Germany. Disgusted by the present, Henry retreated into medieval study. He loved the French cathedrals and their windows. In his Mont Saint Michele and Chartres: A Study of Thirteenth-Century Unity Uncle Henry guides his imaginary nieces through three centuries of the middle ages. Adams chose the thirteenth century to measure his fin de siecle world. He gave privately printed copies of Mont Saint Michele and Chartres as New Year gifts in 1905. The church and devotion to the Virgin unified the medieval period, but where was continuity in his own time and what was the direction of history? He considered these questions in his next works. The Education of Henry Adams (1918) was privately printed and sent to friends. He had not mentioned Clover at all. Adams lived from the oil lamp era, through the Civil War and into the era of electricity, x-rays, and radium. He contrasted his time with the medieval age in the chapter “The Dynamo and the Virgin” in The Education of Henry Adams. Electricity and the great dynamos that generated it at the World's Fairs captured his imagination. As he saw it, in the Middle Ages people had worshiped the Virgin and were devoted to her churches while twentieth century people worshiped the humming machines. Instead of uniting people, however, this twentieth century worship divided them. He developed an historical theory of devolution in the final chapters of his biography. He longed for the “laws of Nature and Nature’s God” to guarantee the course of morals and good government. 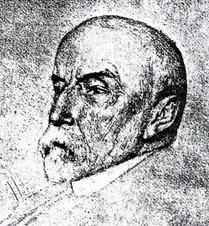 Henry Adams literary work continued through his final years. When his friend Secretary of State Hay died, Adams edited his letters and published them in 1908. In July, Adams had a stroke in Paris; that November he drew up his will instructing that he should be buried in an unmarked grave near Clover. Dissatisfied with the “Dynamic Theory of History” in his The Education of Henry Adams, he sent two papers, “Rule of Phase Applied to History” in 1909, and “Letter to American Teachers of History” in 1910 to his colleagues. Unlike the Darwinists whom he read after the Civil War, Adams proposed a law of social decay. In spite of the elaborate mathematics in these papers, however, his arguments were mostly supported by analogies. He complained to Brooks about his critics saying, “The fools begin at once to discuss whether the theory was true.” Following the death of his young friend, poet George Cabot Lodge, he published a short biography of the poet in 1911. In spite of his dark mood Adams continued to read and supported archeological excavations and the search for prehistoric humans in the French Dordogne caves. In 1912 the Titanic sank. Adams, who had booked tickets for its first return voyage from New York to England was shaken. Shortly after returning home to Washington, D. C., he had a stroke but in spite of his gloom and frustration with William Howard Taft’s administration, he recovered. The next year Adams finally published a commercial edition of Mont Saint-Michel and Chartres (1913). Toward the end of his life he said that “Unitarian mystic” best described his religious views. He returned home to Washington, D.C. Where he died on March 27, 1918. He was buried with Clover in a grave unmarked except by the famous statue he had commissioned. In 1919, he received the Pulitzer Prize posthumously for The Education of Henry Adams. The same year his brother Brooks Adams saw Henry’s last papers through the press as Degradation of the Democratic Dogma. The principal archival repository for the Adams family is the Massachusetts Historical Society in Boston, Massachusetts. Some letters of Henry Adams are in the South Caroliniana Library at the University of South Carolina in Columbia, South Carolina. Material relating to the family and Harvard can be found at the Harvard University Archives in Cambridge, Massachusetts. In addition to the books by Henry Brooks Adams mentioned in the text, a number of collections of letters are available including: Henry Adams and His Friends: A Collection of His Unpublished Letters, ed. Harold Dean Cater, (1970); Letters of Henry Adams 1858-1891, ed. Worthington Chauncey Ford, (1930); and Letters of Henry Adams 1892-1918, ed. Worthington Chauncey Ford (1938). A collection of shorter pieces are in Edward Chalfant, Sketches for the “North American Review,” (1986). A bibliography of Henry Brooks Adams works can be found in Charles Vandersee, “Henry Adams: Archives and Microfilm,” Resources for American Literary Studies (1979). His autobiography, The Education of Henry Adams (1918) is to some extent fictional, a better history than biography. Edward Chalfant and Ernest Samuels, two leading Henry Adams scholars, have written a number of books on Adams. For extended biographical coverage consult the three volume biography by Edward Chalfant, Both Sides of the Ocean A Biography of Henry Adams: His First Life 1838-1862, (1982); Biography of Henry Adams: His Second Life 1862-1891, (1994); andImprovement of the World: His Last Life, 1891-1918 (2001). Another three volume biography is Ernest Samuels, Henry Adams: The Young Henry Adams, (1967); Henry Adams: The Middle Years, (1958); and The Major Phase, (1964). For coverage of his Washington, D.C. Years see Patricia O'Toole, The Five of Hearts: An Intimate Portrait of Henry Adams and His Friends, 1880-1918 (1990). For more on Marian Hooper Adams see Natalie Dykstra, Clover Adams: A Gilded and Heartbreaking Life (2012); Eugenia Kaledin, The Education of Mrs. Henry Adams, (1981); and Ernest Samuels, “Marian Hooper Adams” in Notable American Women 1607-1950, ed. Edward T. James, (1971). Letters by Marion Hooper Adams can be found in, The Letters of Mrs. Henry Adams, ed. Ward Thoron (1936). A critical appraisal of Henry Brooks Adams as a writer and historian is found in Gary Wills, Henry Adams and the Making of America (2005). A history that explores the relationships among the extended Adams family is Francis Russell, Adams, an American Dynasty (1976).